No rinsing required, no harsh rubbing, no residue. Just purified, fresh-feeling skin. Water (eau), PEG-6 Caprylic/Capric Glycerides, Polysorbate 20, Butylene Glycol, PEG-8, Poloxamer 407, Citric Acid, Sodium Benzoate, Disodium EDTA, Portulaca Oleracea Extract. Was really looking forward to using this product but after the first time I used it, my acne completely broke out. I was really disappointed that this happened when all I wanted was clearer skin. After using this a few times and receiving the same result, I think I’ll be trying something new. We're sorry to hear this! We'd like to speak with you to learn more. Please give us a call at 1-888-663-8876. We're available Monday through Friday, 9am to 5:30pm ET. We look forward to speaking with you! 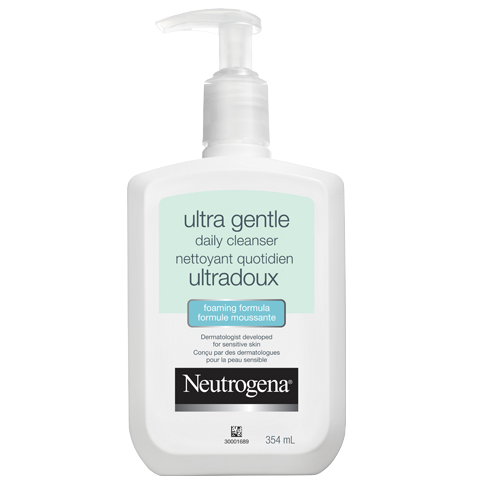 Neutrogena is usually my go-to for a lot of my skin care products, sadly the micellar water was awful. Did not fully remove makeup (makeup was still coming off when I used a toner afterwards), and it is not gentle on the eyes at all. After a couple of uses, I could no longer bear it the eye stinging. Disappointed that I wasted my money on this product. Thanks for the feedback! We're sorry to hear the micellar water didn't work for you. We want to learn more about your experience and try to make things right. Give us a call at 1-888-663-8876, Monday-Friday between 9A-5:30P ET. We look forward to speaking to you! I was excited to try a new micellar water. I bought two bottles because I like to have an extra on hand. I tried it once. It was enough to know that I needed to return this product. The smell is horrible. It's a hard to explain smell. Just very unpleasant. Honestly I wear a lot of makeup so not only do I need to use wipes, I use a facial cleanser too. I use this product as somewhat of a toner. After my cleanser I dab some of this on a cotton pad and it’s remarkable the amount of makeup residue you see you missed!!! Does a great job as a last step before your night cream and serum! It says that this is "fragrance free" but it smells awful. The smell stays for a while afterwards as well. It also doesn't leave your face feeling clean like other micellar waters do. Thanks for your feedback! We're sorry to hear that this product didn't quite work out for you and we'd like to learn more. Please call us at 1-888-663-8876. We're available Monday through Friday, 9am to 5:30pm ET. We look forward to speaking with you! Haven't been using this product for long, but am pleased with the short term results. 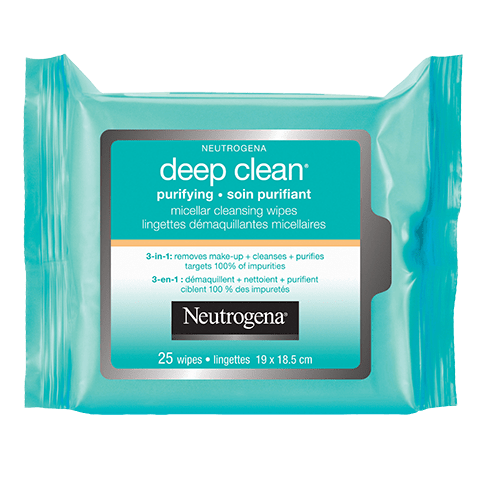 I use this after cleansing and am happy to see the trace amounts of the product that I missed, show up on the cotton pad. This product does NOT remove my eyeliner or mascara. I have tried every technique using cotton pads (a gentle wipe, holding the pad in place over my eye for a few seconds before wiping, actually rubbing, using more product, using less product) and have had to go back to using coconut oil to remove my makeup. 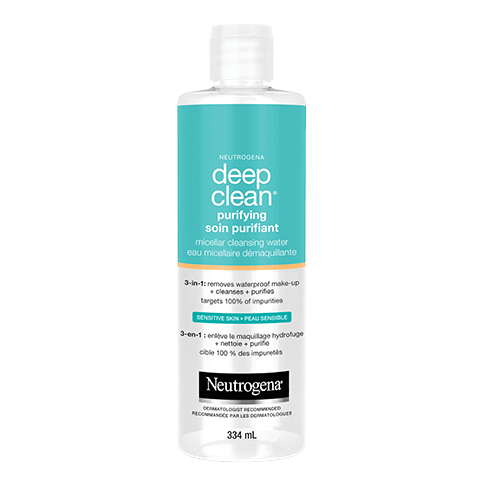 I'm disappointed in this cleanser; I've never had a micellar water product from any company not work before. And to top it off, it smells terrible. Don't waste your money on this. Thank you for reaching out about this! We're so sorry to hear about your experience, as we wouldn't expect it to not work for you. We'd like to learn more to see how we can help. Please give us a call at: 1-888-663-8876 Monday through Friday 9 AM to 5:30 PM ET. We look forward to hearing from you!